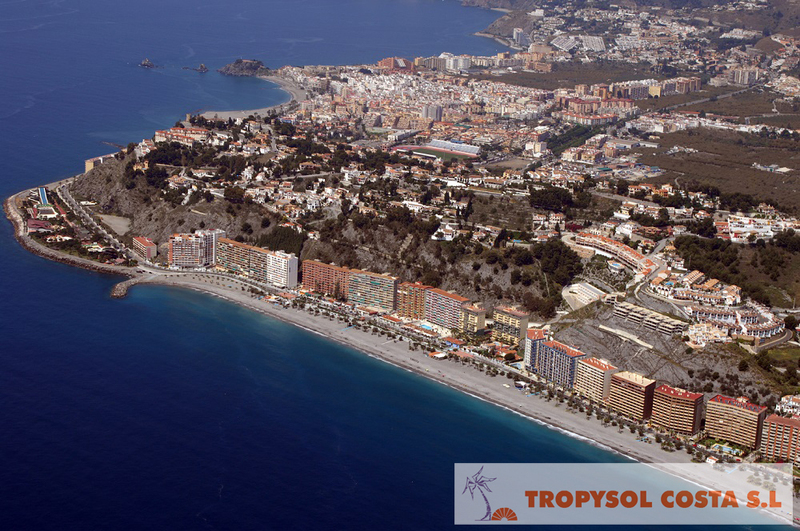 The apartments are situated on the BEACHFRONT (FIRST ROW OF THE BEACH), only 500m from the water park “Aqua Tropic” and 1500m along the seafront to the town centre. 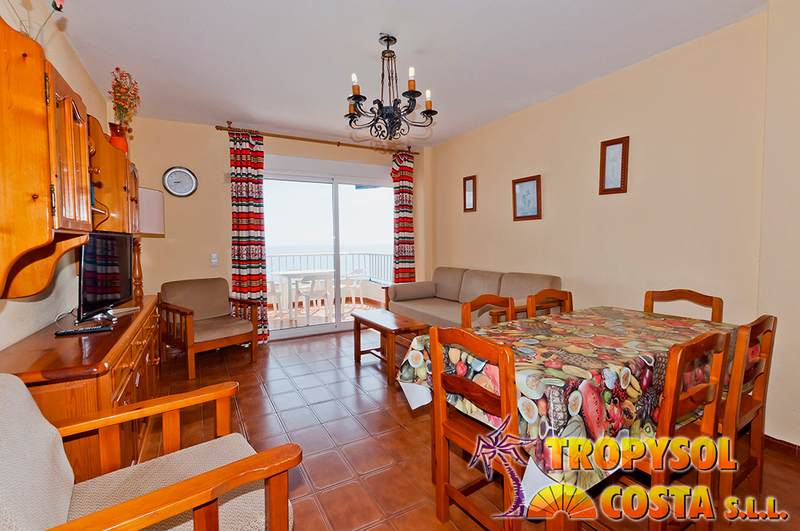 The apartments consist of 1,2 or 3 bedrooms (bedding included) and are predominantly furnished with wooden furniture in a local provincial style. Sheets and Towels are provided. 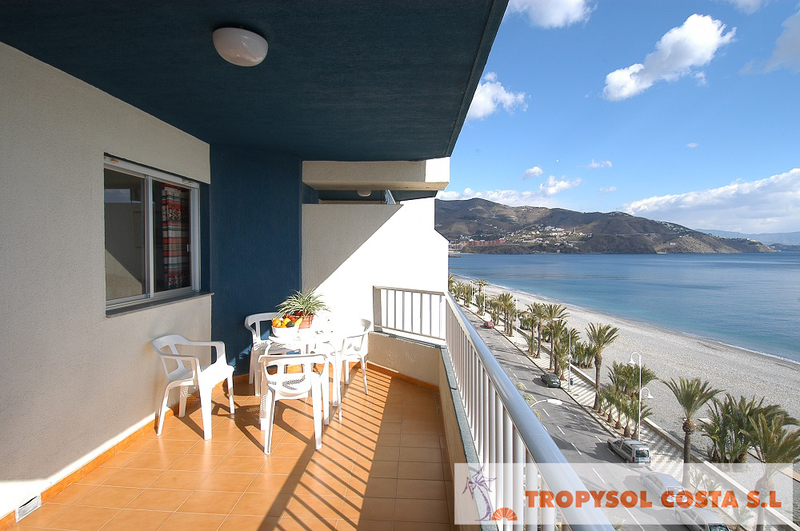 The TAO apartments are well appointed and include a fully-equipped kitchen (including washing machine), bathroom (including towels), living room (including a large sofa bad) and SOUTH-FACING TERRACE OVERLOOKING THE SEA. 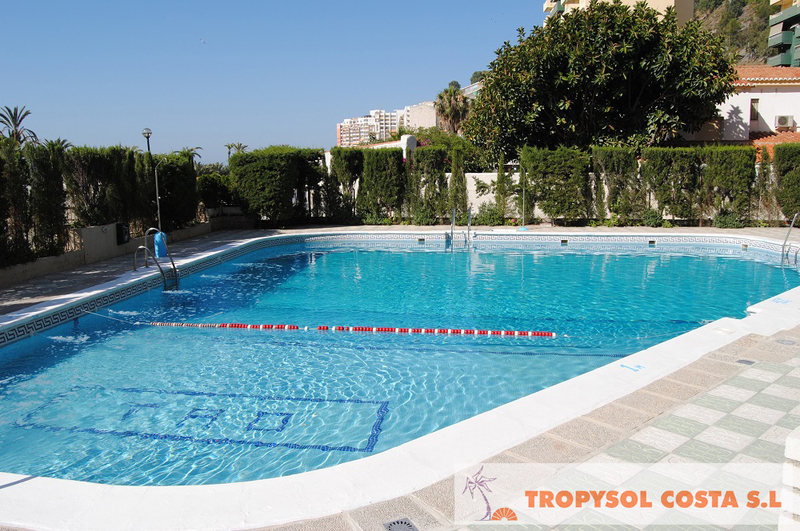 The apartments also include a swimming pool which is open between 15/06 and 15/09 ( it is closed on Tuesdays ), together with a full-size tennis court. The office and reception can be found on the ground floor together with a hairdressers, dispensing chemist and bazar. RECEPTION OFFICE TIME TABLE.. From 10'00h to 14'00h and from 17'00h to 20'00h. In Winter Season Saturdays and Sundays afternoon it is closed. 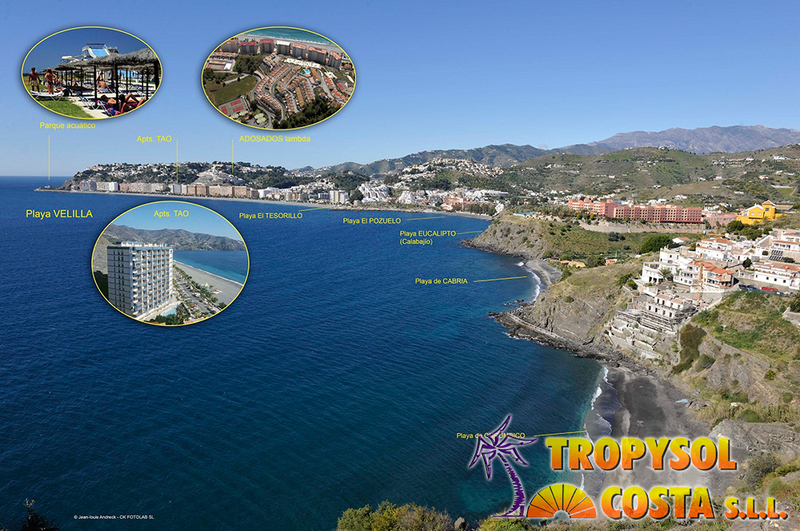 Close to the apartments can be found a variety of bars, restaurants, cafe’s, beach restaurants and convenience stores. 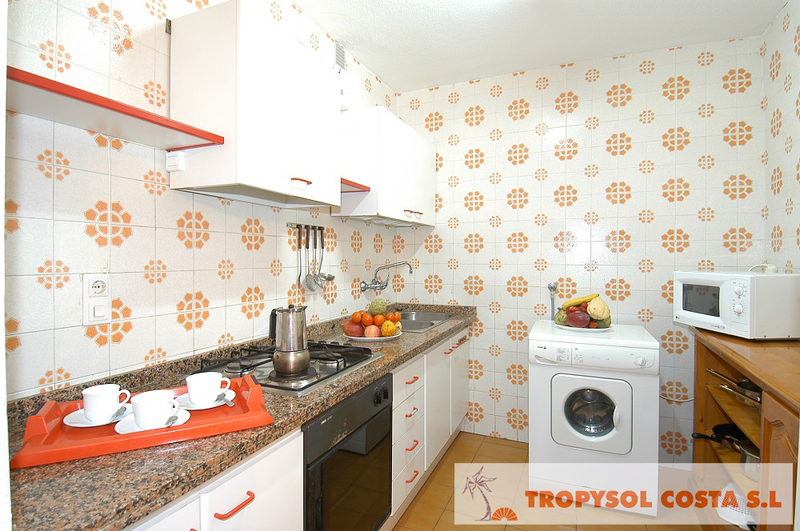 Some of the apartments are equipped with an internet connection and WiFi (paid). Free WiFi is also available to all guests in the reception area. We also have parking spaces for rent, located in the same building or in an underground parking located just 100m from the apartments.